(1.1) The name of the organisation shall be “The British Amateur Rugby League Association” (known as and trading as “BARLA”). “Ordinary Resolution” shall mean a 51% majority of those present and entitled to vote. “Two Thirds Resolution” shall mean 66.7% majority of those present and entitled to vote. that amateur rugby league be played and controlled by amateur players, clubs and officials. to foster, develop, extend and represent amateur rugby league throughout The United Kingdom and Ireland and to maintain a close liaison and co-operation with all organisations relative to the development of amateur rugby league, both nationally and internationally. to made up of Community Amateur Sports Clubs (CASC), and Amateur Local Rugby League Leagues serving their local communities. to do all such other acts or things, to enter into contracts and undertakings with others and to take such other steps as may in the opinion of BARLA or its Board be conducive to the attainment or furtherance of the objects of BARLA, including (but not limited to) entering into a Transfer Agreement, a Licence and/or a Services Agreement. to commit to the principles of equal opportunities and to ensure that the culture, philosophy and processes within BARLA and amateur rugby league are free from bias and discrimination. It is hereby declared that (except where the context expressly so requires) none of the several paragraphs of this clause, or the objects therein specified, or the powers thereby conferred shall be limited by, or be deemed merely subsidiary or auxiliary to, any other paragraph of this clause, or the objects in such other paragraph specified, or the powers thereby conferred. to do all other acts or things to further the objects of BARLA or as may be deemed incidental or conducive to the attainment of such objects or any of them, including (but not limited to) effecting a transfer of any assets pursuant to a Transfer Agreement, licensing any intellectual property rights pursuant to a Licence and/or delegation of all or any of its powers by way of one or more Services Agreement(s). (4.1) All Members of BARLA (of whichever class as set out below) agree to abide by the Constitution and Operational Rules of BARLA. All clubs, players, club officials, match officials and all other participants who participate in any league or competition or any game under the jurisdiction of BARLA or organised by BARLA are deemed by acceptance of the invitation to be bound by the Constitution and Operational Rules (including but not limited to those relating to discipline or misconduct), the Rules and Regulations of any body of which BARLA is a member, the terms of any agreement entered into by the BARLA and the Laws of the Game and accept the jurisdiction of BARLA. (4.2) Full Membership of BARLA shall be open to such National, Regional, or District Leagues playing or organising Community Amateur Rugby League as approved by BARLA’s General Assembly. No Member shall be entitled to be a Full Member until they have been an Associate Member for a minimum probationary period of 1 year and have had their Constitution approved by the BARLA Board of Management. At all meetings of the BARLA General Assembly each Full Member shall be entitled to have two representatives in attendance, however the League is only allowed one vote. Any full member in arrears with subscriptions by more than 3 months shall be treated as an Associate Membership with reduced membership rights until and unless it clears all arrears owing. (4.3) Associate Membership of BARLA shall be open to such National, Regional, or District Leagues playing or organising Community Amateur Rugby League as approved by BARLA’s General Assembly. Associate Members have the right to attend and speak at all General Assembly meetings, but shall have no voting rights. (4.4) Affiliated Membership of BARLA shall be automatically conferred upon all clubs and such other organisations, which are members of a BARLA member league for so long as that member league remains a member of BARLA. 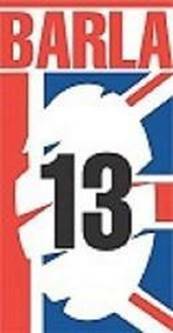 All Clubs must be in membership of the District League in which they are geographically located prior to joining any fixture organising league unless dispensation has been granted by the BARLA Board of Management. District Leagues must not admit into membership any new clubs or teams which will adversely affect existing members. All member clubs of District Leagues shall have equal voting rights within their League without discrimination. (4.5) Playing Membership shall be automatically conferred upon all players registered with clubs or teams who are affiliated members of BARLA for so long as the relevant member league and member club remains a member of BARLA. Playing Members have no right to attend or speak at General Assembly meetings, and shall have no voting rights. (4.6) Life Members may be appointed by the General Assembly following recommendation from the Board of Management for outstanding services to the amateur game. Life Members are entitled to attend and speak at all General Assembly meetings but shall have no voting rights. (4.7) Members shall not organise or play against any club, team or league that are not members of BARLA without written permission of the BARLA Board of Management and the appropriate governing bodies of the countries concerned. (4.8) Save where provided to the contrary in the Constitution or Operational Rules, any Amateur Rugby League player, coach, official or referee is free to participate in any other sport of their choice without fear of discrimination by BARLA. (4.9) All Member leagues shall submit their rules and any subsequent amendments, and/or alterations, to BARLA for approval, so as to facilitate uniformity of administration by all members. Member leagues are responsible for all rules relative to their own competitions, subject to approval by the BARLA Board of Management, which may be removed at any time and in its absolute discretion. BARLA competitions shall be played to the Association’s Competition Rules. (4.10) The geographical area of operation for each Member league shall be as defined by BARLA. All clubs must be in membership of the District League within the boundaries of which they are geographically located. All teams must apply to and have written permission from their District League prior to joining any Regional League. (4.11) Each Member League and organisation is responsible for electing its own management and its appointed officials which should include a Chair, Secretary, Treasurer, BARLA Representative, Coaching Co-ordinator, Senior Coach (or the equivalent), Development Officer and Publicity Officer. (4.12) No Member shall be allowed to withdraw from BARLA until that Member’s liabilities to BARLA have been discharged. And BARLA and each member agree and accept that any breaches of such rules and/or policies shall be considered to be misconduct and that any alleged breaches shall be investigated, prosecuted and adjudicated on by the RFL in accordance with the RFL’s Operational Rules with penalties as set out in the RFL Operational Rules. BARLA and each of its members agree to be bound by any such adjudication by the RFL and to enforce any such adjudication’s. (4.14) Any Member intending to resign as a Member of BARLA may do so only with effect from the end of a season and any such resignation shall only be effective if given in writing to the Chair on or before the 31st January preceding the end of the relevant season. (4.15) Any Member which voluntarily ceases to be a Member of BARLA shall on demand indemnify BARLA on behalf of itself and the remaining Members against all losses, damages, liabilities, costs or expenses whatsoever suffered or incurred by BARLA or any such Member and which arise as a direct result of such cessation provided always that such losses, damages, liabilities, costs or expenses can be said to have arisen solely as a result of the cessation of membership and the contracts or obligations from which such losses arose or were in existence at the date of cessation. (4.16) The Board of Management shall keep a register of Members, Trustees and members of the Board of Management and their addresses which shall be kept at the BARLA HQ and shall be open to inspection by Members at all reasonable times upon prior appointment. (4.17) Any application for Membership shall be made to the Chairman of BARLA and shall be assessed against such criteria as the Board of Management may specify from time to time and for the application to succeed it must be approved as an Ordinary Resolution at a General Assembly meeting. The General Assembly may require as a condition for the grant of membership a financial deposit (of such sum as the General Assembly may require) which shall be placed at the disposal of BARLA to be utilised by BARLA at its discretion upon default by the Member of any of its obligations to BARLA. Any Member so admitted shall unless otherwise agreed by the General Assembly not be entitled to share in the profits of BARLA nor be liable to contribute to the losses of BARLA during or in respect of the period until after the end of the first full Season for which it is a Member. (4.18) Any Member ceasing to be a Member for whatever cause shall forfeit all rights to and claims against BARLA, its profits, its funds and shall have no right to the return of any monies. (5.1) BARLA shall appoint not more than 5 (five) Trustees. The Trustees shall be appointed by ordinary resolution at General Assembly. The Trustees shall hold office until death or resignation or until removed from office by an ordinary resolution of the General Assembly. If by reason of any such death, resignation or removal it shall appear necessary to the General Assembly that a new Trustee or Trustees shall be appointed or if the General Assembly deem it expedient to appoint an additional Trustee or additional Trustees, the General Assembly shall by resolution nominate the person or persons to be appointed the new Trustee or Trustees. (5.3) Any property of BARLA requiring legal title shall be vested in the Trustees to be held on trust for BARLA and to be dealt with by them as the General Assembly shall from time to time direct by ordinary resolution (of which an entry in the minutes shall be conclusive evidence). (5.4) The Trustees shall be indemnified against risk and expense out of BARLA’s property. (5.5) The Trustees shall be entitled to attend all Board of Management meetings and General Assembly Meetings. Trustee`s must accept ultimate responsability for directing the affairs of the association, and ensuring that it is solvent, well run, and delivering the outcomes for the benifits of the members for which it has been set up. It in the duty of a trustee to ensure that the association does not breach any requirements or rules set out in the associations constitution and that it remains true to the purpose and objects set out there. for the association to use. (6.1) The day to day management of the Association shall be vested in the Board of Management, who shall have the delegated authority of the General Assembly to manage the Association on their behalf, subject to the Constitution, the Operational Rules, and any resolution of the General Assembly. (6.2) The Board shall consist of a President and Senior Vice-President (with no voting rights), A Chair, Vice Chair plus a maximum of eight other persons, all of whom shall be an Active committee member or appointed League representative of a BARLA District League (no more than one member from each District or Playing League). Each Board Member shall be elected by Ordinary Resolution at General Assembly for a two-year term of office on a rotation basis. Six Board Members (Vice-Chair, President, and 4 Board ) shall retire in the first year. Six Board Members (Chair, Senior Vice-President, and 4 Board members) shall retire in the second year. All shall be eligible for re-election. The Board of Management shall appoint a secretary, who is not a member of the Board of Management, to carry out administrative duties on behalf of the Board and who will normally attend meetings of the Board but does not have the right to vote . (6.3) The Board of Management shall be responsible to the General Assembly for the proper conduct of BARLA’s affairs and shall ensure that all statutory obligations and duties are met. (6.4) The Board of Management may from time to time promulgate such rules as are appropriate for the proper administration of amateur rugby league subject to the Constitution, the Operational Rules, and any resolution of the General Assembly. (6.5) An Honorary Treasurer shall be appointed by the Board of Management from suitably qualified professional personnel. The Honorary Treasurer shall be appointed by the Board of Management by a majority vote of Board members present and voting and shall serve until a majority of the Board members present and voting vote to remove the Honorary Treasurer. (6.6) The Board of Management shall appoint BARLA’s delegates to the RFL Council. The BARLA representatives shall consist of the Chairman of BARLA plus one member of the Board representing youth and one member from the Board representing open age. (6.7) The Board of Management shall appoint BARLA’s delegates to the RFL Community Board. be entitled to enter into one or more Transfer Agreement(s), Licence(s) and/or Services Agreement(s) on behalf of BARLA and to amend, extend, modify or terminate any such agreement as the Board of Management considers appropriate. and any contract entered into by the Board of Management in accordance with this Constitution shall be valid and binding on the Members as if each Member had individually executed that contract. (6.10) The Mamangement committee must make all decisions affecting the organisation, However, Some powers may be delegated to members, office bearers or sub-committees. (7.1) Subject to the Constitution, the Board of Management may regulate its proceedings as it thinks fit and shall meet as frequently as it deems appropriate. (7.2) Meetings of the Board of Management may be convened by the Chair at any time and shall be convened by the Chair within 7 days of the written request of not less than 2 members of the Board of Management being served on him/her. (7.3) At least 7 days’ notice of any meeting of the Board of Management shall be given to all members of the Board of Management, provided that the accidental omission to give such notice to, or the non receipt of such notice by, any person shall not invalidate the proceedings of any such meeting. With the consent of all members of the Board a meeting of the Board may be convened upon shorter notice. The notice shall specify the place, the day and hour of the meeting and the nature of business to be discussed. It shall be valid for the Board of Management to meet by telephone or video conference, subject to the requisite number of members of the Board of Management being joined in such telephone call or video conference to satisfy the quorum requirements set out elsewhere in this Constitution. A resolution in writing (which may consist of several documents in the like form) signed by all of the members of the Board of Management entitled to receive notice of and to attend and vote at a Board of Management meeting shall be as valid and effectual as if it had been passed at a duly convened and held Board of Management meeting. The Board of Management may invite or allow any person to attend its meetings as an observer and speak. (7.5) If a quorum for the transaction of business shall not be present then it shall be lawful for the member(s) of the Board of Management present to act for the purpose of summoning a meeting of the General Assembly, but not for any other purpose. (7.6) At any meeting of the Board of Management, the Chair shall preside as chair or if s/he is not present or is unwilling to act the Vice Chair or another member of the Board of Management shall act as chair of the meeting by the agreement of the members of the Board of Management present. (7.7) Matters arising at any meeting of the Board of Management shall be decided by the majority of members of the Board of Management present and voting. Every member of the Board of Management shall have one vote and in the case of an equality of votes the chair of the meeting shall be entitled to a second or casting vote. (7.8) The Board of Management shall cause proper minutes to be kept of all meetings of the Board of Management and any sub committee of the Board of Management. At each meeting of the Board of Management, and any sub committee of the Board of Management, there shall be proposed a resolution that the minutes of the previous meeting of the Board of Management (or such sub-committee as appropriate) be approved and following such resolution being passed and the signature of such minutes by the chair of the meeting such minutes shall constitute conclusive evidence of the relevant proceedings. (7.9) All acts bona fide done by any meeting of the Board of Management or by any person acting as a member of the Board of Management shall not be invalidated by any defect in the appointment or qualifications of any member of the Board or such a person acting as aforesaid. (7.10) All acts bona fide done by any meeting of the Board of Management or by any person acting as a member of the Board of Management shall be valid and be of full force and effect unless and until specifically revoked by Ordinary Resolution of the General Assembly. (8.1) The annual subscriptions for all grades of membership shall be as recommended by the Board of Management and ratified by simple majority of the General Assembly at the Annual General Meeting. Each season all members shall be notified of this decision. All new club members shall pay 50 per cent of the applicable annual subscription in their first year of membership. (8.2) All affiliated members will be covered for public liability and players’ personal accident insurance through a group insurance policy, for such sums and premium payments, as shall be determined by the General Assembly at the Annual General Meeting. The appropriate policies will be affected by BARLA on behalf of all member clubs and players. (8.3) All subscriptions and insurance premiums will be invoiced to the individual member clubs direct from BARLA. All payments are to be paid by the 31 December of each season. Any monies outstanding after this date will render that member club or player liable to suspension from all fixtures arranged by BARLA or its members. In addition, any full member in arrears with subscriptions by more than 3 months shall be treated as an Associate Membership with reduced membership rights until and unless it clears all arrears owing. (8.4) Elected and co-opted officials of BARLA, selectors and team managers shall receive no remuneration for any duties undertaken but may be repaid genuine expenses (including a mileage allowance as fixed by the Board of Management) necessarily incurred whilst carrying out their duties. (8.5) Players shall not receive payment from a member, its sponsors or any auxiliary organisation of a member, or any other person for playing amateur rugby league. (9.1) All finances of BARLA shall be accounted for and apportioned as set out in the Constitution. the assets and liabilities of BARLA. (9.3) The said books of account shall be open to inspection by any Full Member (acting by a duly authorised representative) at any reasonable time on prior application to the Board of Management and the Board’s permission shall not be unreasonably withheld. (9.4) The said books of account shall give a true and fair view of the state of the affairs of BARLA, and explain its transactions, and shall, in the form of an income and expenditure account and balance sheet, be laid before the the Annual General Meeting for approval and adoption by the meeting by Ordinary Resolution. (9.5) The financial year of BARLA shall run from 1 January to 31 December. (9.6) The accounts shall be audited annually by one or more properly qualified auditor(s) appointed by the Board of Management and approved by Ordinary Resolution of the Annual General Meeting. (9.7) Subject to the provisions of the Constitution and after retaining such sum as the Board of Management considers prudent to cover liabilities, losses and committed or proposed expenditure, the Board of Management may resolve to distribute all or part of any surplus to Full Members in proportions it deems fit. (9.8) Any liability of BARLA is to be shared equally between the Full Members. The expulsion or resignation of a Member shall not remove its liability to contribute to losses accrued prior to its expulsion or resignation and its liability shall crystallise at the date of the last audited balance sheet preceding the date of expulsion or resignation. The sum concerned shall become immediately due and payable to BARLA. (10.1) A Special General Meeting (S.G.M.) may be convened in the following circumstances. (i) by the Board at any time by sending to the Members at least (60) days before the date fixed for such meetings, with a notice and proposed agenda. (ii) at the request in writing on official headed paper signed by the Chair and Secretary of not less than 10% of Full Members addressed to the Board with a proposed agenda including any new rules or amendments in which case that S.G.M. will take place not less than (60) days after the request. (10.2) Each Full, Associate may send two representatives to General Assembly meetings. Each member entitled to vote shall only be entitled to one vote only. To receive the Board of Management’s annual report. To receive and approve the audited accounts. To approve the election of the auditors. To elect Vice Presidents Nominations for the vacancy are required to have been submitted to the administrator calling the meeting in writing and seconded by 4 full members entitled to attend and vote by the 30th June. To transact any other business specified in the notice convening the meeting. (10.4) At any meeting of the General Assembly the quorum for the transaction of business shall be 30% of all Members entitled to attend and vote and any meeting of the General Assembly at which a quorum is present shall be competent to exercise all or any of the authorities powers and discretions for the time being vested in or exercisable by the General Assembly. (10.5) If a quorum for the transaction of business shall not be present then it shall be lawful for the member(s) of the General Assembly present to act for the purpose of summoning a reconvened meeting of the General Assembly, but not for any other purpose. At any such reconvened meeting, the quorum shall be that number of members who actually attend. (10.6) The Chair, or in his/her absence the Vice-Chair, shall preside at all General Assembly meetings. The Chair shall have a second and casting vote in the event of a tied vote. (10.7) The General Assembly may, subject to this Constitution, regulate its proceedings as it thinks fit. (10.8) At least 21 days’ notice of any meeting of the General Assembly shall be given to all members entitled to attend provided that the accidental omission to give such notice to, or the non receipt of such notice by, any member shall not invalidate the proceedings of any such meeting. (10.9) With the consent of all members entitled to attend and vote a meeting of the General Assembly may be convened upon shorter notice. (10.10) The notice convening a meeting of the General Assembly shall specify the place, the day and hour of the meeting and the nature of business to be discussed. chairman of the meeting shall specify the maximum time which may be given to discussion of any such resolution; and prior to any such resolution being able to be voted upon, it must be formally proposed by one member entitled to attend and vote and seconded by another. (10.12) Any Member in arrears for subscriptions, fines or any other sums ordered to be paid by the Board of Management or General Assembly shall be not be eligible to vote at any meeting of the General Assembly subject to due notice of such arrears having been given to the relevant Member and no nomination or proposal made by such Member shall be valid. (10.13) Save where the Constitution provides otherwise, all decisions of the General Assembly shall be by way of Ordinary Resolution. (10.14) The General Assembly or the Board of Management may invite or allow any person to attend General Assembly meetings as an observer and speak. All members of the Board of Management shall be entitled to attend and speak at (but not to vote at) meetings of the General Assembly. (10.15) The Secretary (or in his/her absence the chair of the meeting) shall cause proper minutes to be kept of all meetings of the General Assembly and circulated to all members entitled to attend within a reasonable time frame and in any event, before the next General Assembly meeting. At each meeting of the General Assembly there shall be proposed a resolution that the minutes of the previous meeting of the General Assembly be approved and following such resolution being passed and the signature of such minutes by the chair of the meeting such minutes shall constitute conclusive evidence of the relevant proceedings. (10.16) All acts bona fide done by any meeting of the General Assembly or by any person acting as a member of the General Assembly shall not be invalidated by the giving of inadequate notice or any defect or deficiency in the calling of the meeting concerned or the paperwork for it or the procedure at it or any defect in the appointment or qualifications of any member of the General Assembly or such a person acting as aforesaid. BARLA shall be entitled to rely on a letter written on the notepaper of the Member concerned specifying the identity of its representative and/or that person’s deputy. Members shall be entitled to appoint or remove their representative and/or deputy by written notice to the Chair (or in his absence a member of the Board of Management) at any time. (10.17) All acts bona fide done by any meeting of the General Assembly or by any person acting as a member of the General Assembly shall be valid and be of full force and effect unless and until specifically revoked by Ordinary Resolution of the General Assembly, save where such act required a Two Thirds Resolution, in which case revocation may only be effected by a further Two Thirds Resolution. (11.1) There shall be a Youth and Junior Council and an Open Age Council. Councils will be composed of all Full Members. A Council Chair for each Council is to be agreed from one of the existing four elected Board members subject to this appointment will be ratified by an Ordinary Resolution of the Board of Management. (11.2) Meetings of the Councils shall be held at least quarterly. The Council Chair or the Board of Management by Ordinary resolution may call a meeting of the Councils. In addition on receipt of a petition requesting a General Meeting and attaching a copy of the proposed resolution(s) to be discussed signed by 10 per cent (10%) of Full Members in any particular category or twenty five per cent (25%) of all Full Members in any particular category the Chair shall call a meeting of the relevant Council within 30 days. (11.3) Each Full may send two representatives to their respective Council meetings. Each member entitled to vote shall only be entitled to one vote only. (11.4) At any meeting of a Council the quorum for the transaction of business shall be 30% of all Members entitled to attend and vote and any meeting of the Council at which a quorum is present shall be competent to exercise all or any of the authorities powers and discretions for the time being vested in or exercisable by the Council. (11.5) If a quorum for the transaction of business shall not be present then it shall be lawful for the member(s) of the Council present to act for the purpose of summoning a reconvened meeting of the relevant Council, but not for any other purpose. At any such reconvened meeting, the quorum shall be that number of members who actually attend. (11.6) The Council Chair, or in his/her absence the BARLA Chair, shall preside at any Council meetings. The Council Chair shall have a second and casting vote in the event of a tied vote. (11.7) The Councils may, subject to this Constitution, regulate its proceedings as it thinks fit. (11.8) At least 7 days’ notice of any meeting of the Councils shall be given to all category members entitled to attend provided that the accidental omission to give such notice to, or the non receipt of such notice by, any member shall not invalidate the proceedings of any such meeting. (11.9) With the consent of all members entitled to attend and vote a meeting of the Councilm may be convened upon shorter notice. (11.10) The notice convening a meeting of the Council shall specify the place, the day and hour of the meeting and the nature of business to be discussed. prior to any such resolution being able to be voted upon, it must be formally proposed by one member entitled to attend and vote and seconded by another. (11.12) Any Member in arrears for subscriptions, fines or any other sums ordered to be paid by the Board of Management, General Assembly or relevant Council shall be not be eligible to vote at any meeting of the relevant Council subject to due notice of such arrears having been given to the relevant Member and no nomination or proposal made by such Member shall be valid. (11.13) Save where the Constitution provides otherwise, all decisions of the Councils shall be by way of Ordinary Resolution. (11.14) The Councils or the Board of Management may invite or allow any person to attend Council meetings as an observer and speak. All members of the Board of Management shall be entitled to attend and speak at (but not to vote at) meetings of the Councils. (11.15) The administrator (or in his/her absence the chair of the meeting) shall cause proper minutes to be kept of all meetings of the Council and circulated to all members entitled to attend within a reasonable time frame and in any event, before the next relevant Council meeting. At each meeting of the Councils there shall be proposed a resolution that the minutes of the previous meeting of the relevant Council be approved and following such resolution being passed and the signature of such minutes by the chair of the meeting such minutes shall constitute conclusive evidence of the relevant proceedings. (11.16) All acts bona fide done by any meeting of the Councils or by any person acting as a member of the Councils shall not be invalidated by the giving of inadequate notice or any defect or deficiency in the calling of the meeting concerned or the paperwork for it or the procedure at it or any defect in the appointment or qualifications of any member of the Councils or such a person acting as aforesaid. BARLA shall be entitled to rely on a letter written on the notepaper of the Member concerned specifying the identity of its representative and/or that person’s deputy. Members shall be entitled to appoint or remove their representative and/or deputy by written notice to the BARLA Chair (or in his absence a member of the Board of Management) at any time. (11.17) All acts bona fide done by any meeting of the Councils or by any person acting as a member of the General Assembly shall be valid and be of full force and effect unless and until specifically revoked by Ordinary Resolution of the relevant Council or Ordinary Resolution of the General Assembly, save where such act required a Two Thirds Resolution, in which case revocation may only be effected by a further Two Thirds Resolution of the relevant Council or Ordinary Resolution of the General Assembly. (12.2) No addition, rescission, amendment or alteration to the Operational Rules may be proposed which conflicts with any provision of the Constitution. (12.3) Save where stated in the Constitution, the Operational Rules shall be capable of amendment by Two Thirds Resolution of the General Assembly alone. (12.5) All issues of discipline, appeals and/or suspensions and fines relating to child protection, anti-doping, racism, any matters referred to in Clauses 3.1(l) and 4.13 above, and any other off-field incidents that the Board of Management elects to refer to the RFL and are accepted by the RFL shall be investigated, prosecuted and adjudicated on by the RFL in accordance with the RFL’s Operational Rules with penalties as set out in the RFL Operational Rules. BARLA and each of its members agree to be bound by any such adjudication by the RFL and to enforce any such adjudication. No rules passed by the Youth and Junior Council and/or the Open Age Council shall conflict with the BARLA Constitution or any Operational Rules passed by the General Assembly and in the event of conflict the relevant clause of first the Constitution and secondly the Operational Rules passed by the General Assembly shall take precedence. (12.7) No member shall be entitled to pass any rules relating to any category set out in Clauses 12.4 and 12.6 and in the event of a member purporting to pass any such rules, such rules shall be deemed to be invalid and non-binding. (13.1) The members of the Board of Management, the Honorary Treasurer, the auditor(s) and the trustees (if any) and any members of any disciplinary committee or any person for the time being acting in relation to any of the affairs of BARLA and each of them and each of their representatives shall be indemnified and secured harmless out of the assets of BARLA from and against all actions, costs, charges, losses, damages and expenses which they or any of them, or any of their representatives shall or may incur or sustain by the proper execution of their duty or supposed duty in their respective offices or trusts, and none of them shall be answerable for the acts, receipts, neglects or default of the others or other of them or for the joining in any receipts for the sake of conformity or for any bankers or other persons with whom any monies or effects belonging to BARLA shall be placed or invested or for any other loss, misfortune or damage which may happen in the execution of their respective offices or trusts or in relation thereto. This indemnity shall not apply to or provide indemnification to any Service Provider. (14.1) The Board of Management shall restrict the Borrowings of BARLA so that they shall not at any time exceed £500,000 without the previous sanction of the General Assembly by Ordinary Resolution. (14.2) “Borrowings” means the total of: amounts borrowed by BARLA; any actual or contingent liability under a guarantee given by BARLA; amounts due by BARLA under any credit sale, hire purchase, and equipment leasing agreements, insofar as any of these can properly be attributed to capital; but excluding loans, and guarantees, between BARLA and any subsidiary undertaking of it. (15.1) A resolution to dissolve BARLA shall be proposed as a Two Thirds Resolution at a General assembly meeting. (15.2) The dissolution shall take effect from the date of the resolution and the Board of Management shall be responsible for the winding up of the assets and liabilities of BARLA. (15.3) Any property remaining after the discharge of the debts and liabilities of BARLA shall be divided equally among the fully paid up affiliated members/playing members at the date of dissolution. liquidation of the premises and equipment therein owned by BARLA. (16.1) The construction, validity and performance of this Constitution shall be governed in all respects by English law and all members hereby submit to the exclusive jurisdiction of the English Courts with regard to any claim or matter arising in connection with this Constitution. All members agree to consider the use of mediation or other alternative dispute resolution service to resolve any dispute arising from this Constitution but are not prevented from resorting to litigation.